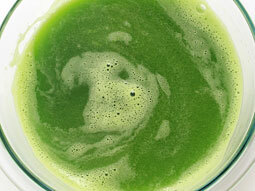 Green vegetable juice may not be a choice of juice for everyone but its health benefits far outweighs its taste. 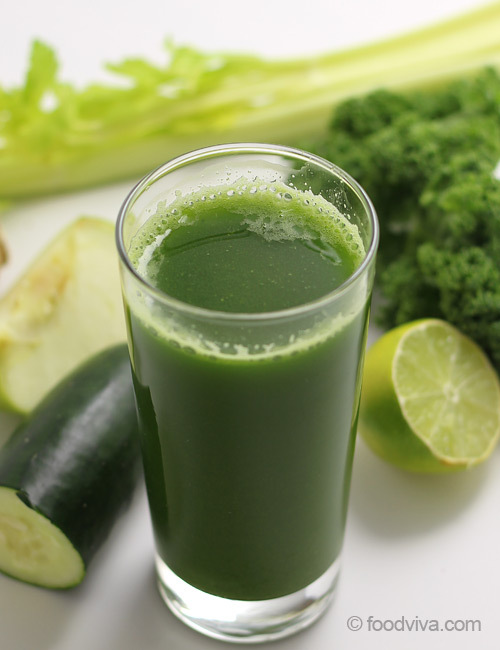 In this recipe, extremely nutritious greens like cucumber, celery, kale and spinach are combined with goodness of apples to give it a desirable sweeter taste and make well balanced tasty detox juice. 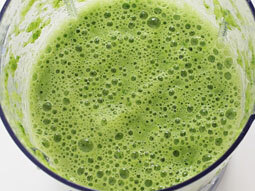 Learn how to make healthy as well as tasty juice of green vegetables with this recipe. 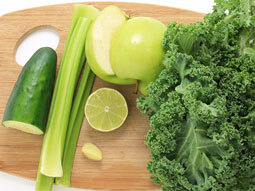 Rinse cucumber, celery, kale leaves and apple in running water. Remove stems from kale leaves and tear them into small pieces. 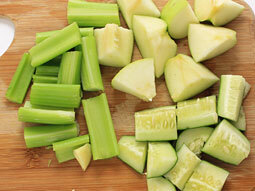 Cut cucumber, celery and apple into pieces. Pour 1 cup water in a blender jar. 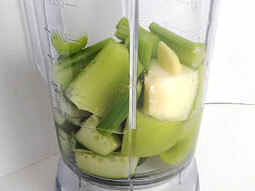 Add cucumber, celery, apple and ginger. Blend until smooth puree. 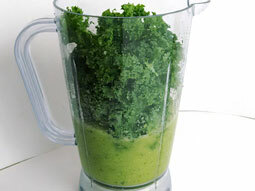 Add kale leaves and lemon juice. 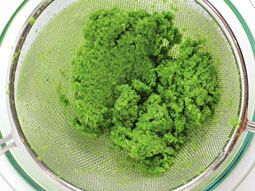 Place a fine mesh strainer over a large bowl and pour prepared puree over it to strain it. 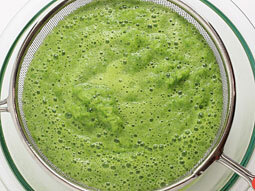 You can also use a nut-milk bag or a cheesecloth to strain the puree. Use a rubber spatula to press the pulp down and get the maximum juice. Discard the pulp. Healthy green veggie juice is ready. Consume it immediately to get maximum nutrients. Process all veggies and fruits (except lemon) through juicer and and collect the juice in a container. Mix the lemon juice with prepared juice and pour into serving glasses. 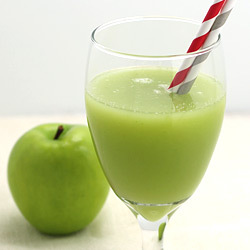 Taste: A great taste of fresh vegetables with mild sweet accent of apple. Serving Ideas: This is an anytime you like it juice. It is a healthy choice of drink for breakfast and low calorie weight loss diets. Kindly I would like to get the recipe for all juices. Will really appreciate. Would love to receive your recipes on my email. Response: Hello Gerry, subscribe to our email feed so when we upload the recipe, you will get the notification via mail. Hiw long will this laste in the fridge? Response: Juice stays good for a day in the refrigerator. I love to get in my email your recipes. I will appreciate it very much. What juice machine you recommend to buy and please tell where I can find and address? Response: Hi Ashalata, I am using the omega brand juicer (j8006) which has low rpm, it is great for leafy vegetables, citrus fruits and hard fruits and vegetables. You can easily find it online on amazon.com .